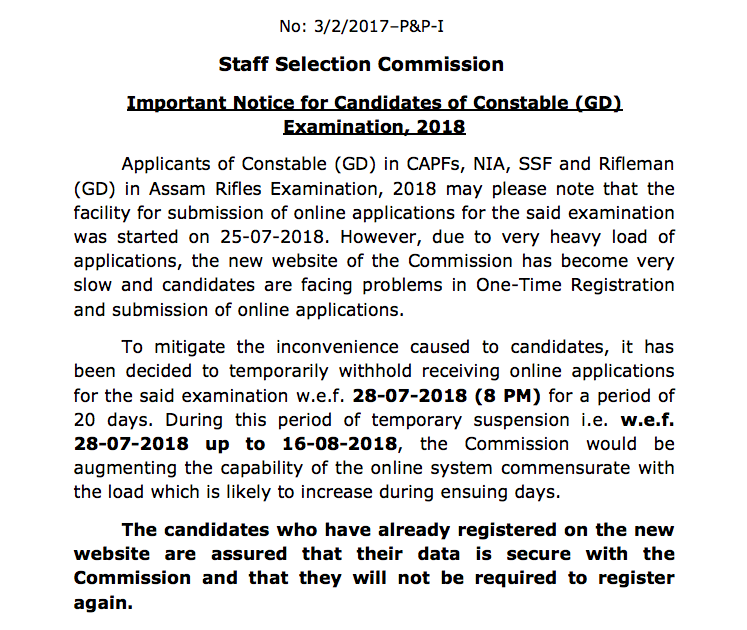 SSC GD Constables Registration started on 25-07-2018 is temporarily withold due to sluggish and incompetent website of SSC. The Candidates will not be able to register from 28.07.2018 (8PM) to 16.08.2018 (20 Days), so that commission would augment the website capabilities. The candidates who have already registered completely will not be required to register again. The Online Registration will commence wef 17.08.2018 at 10.00 AM.